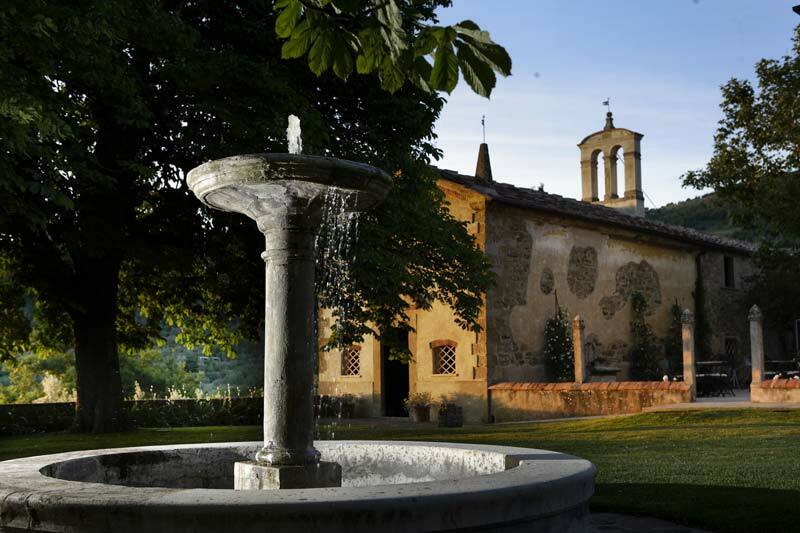 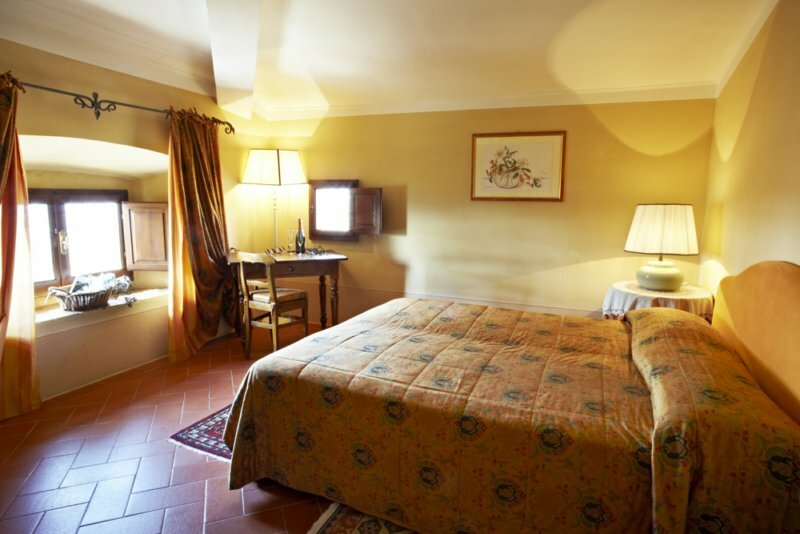 The Relais Villa Belpoggio is a beautiful Tuscan hotel located in the Chianti region, right in the middle of the triangle connecting Florence (35 km), Arezzo (33 km) and Siena (50 km). 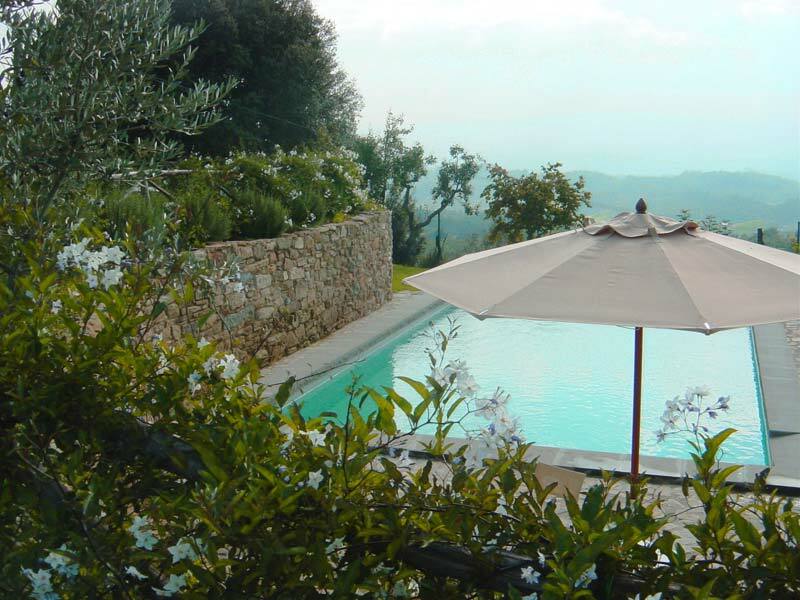 The Villa is a perfect starting point to reach the widely known cities of art of Tuscany trough panoramic roads and to discover hidden medieval hamlets enjoying the intact environment of the Pratomagno mountains. 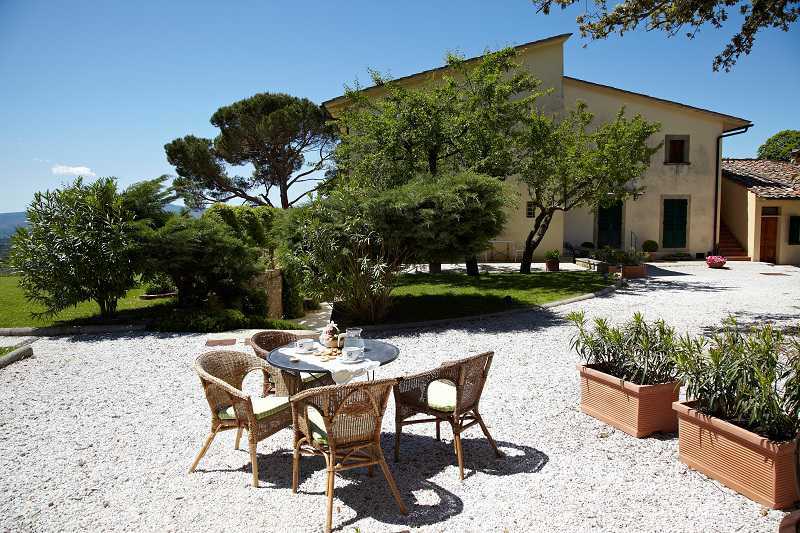 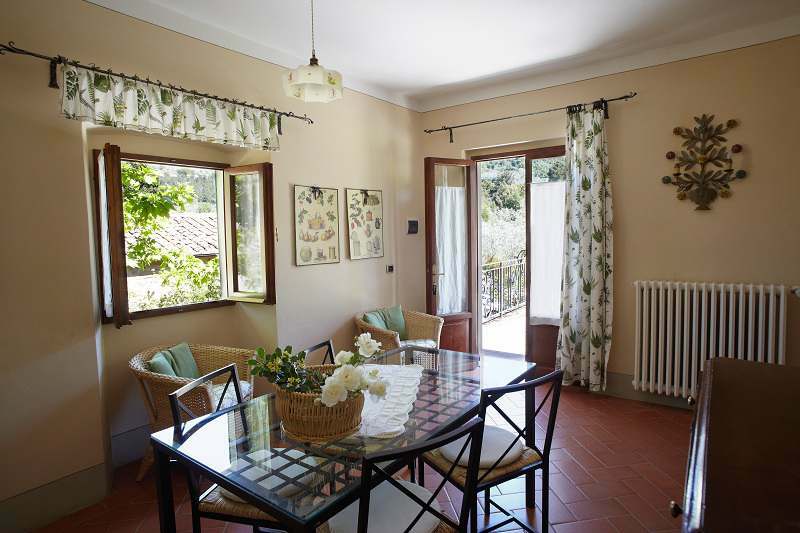 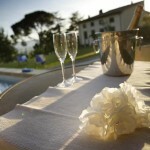 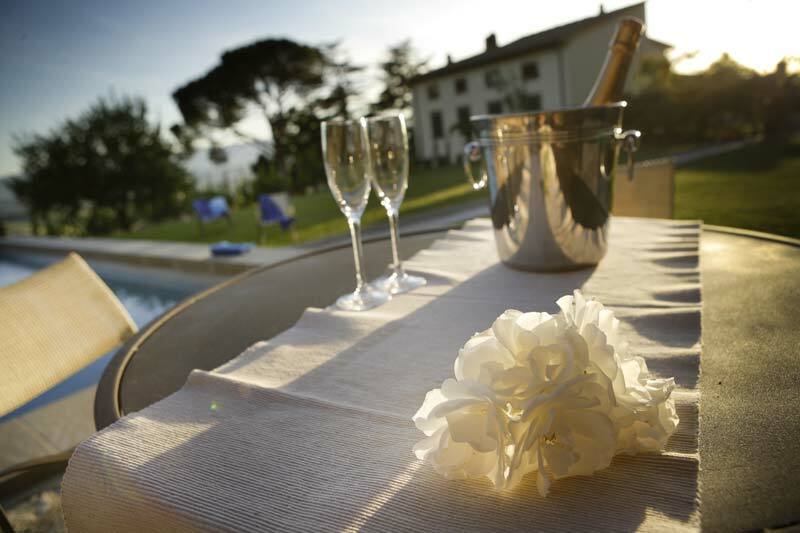 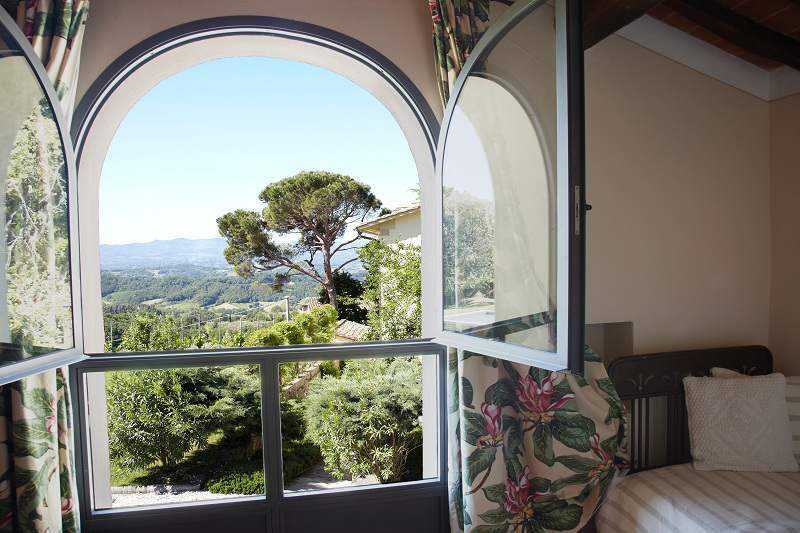 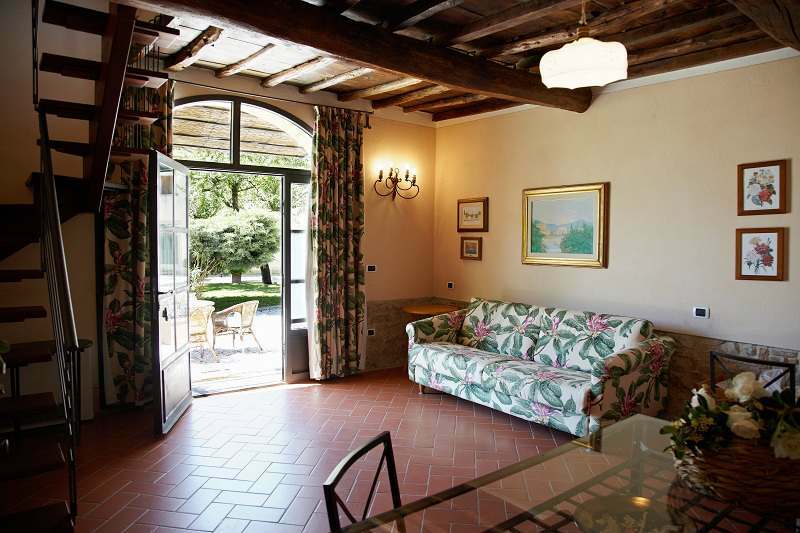 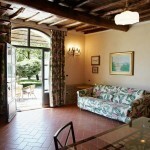 Villa Belpoggio is a small charming hotel; it offers 10 double rooms and 2 apartments. 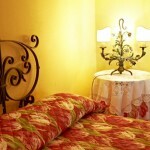 All the accommodations are peaceful, comfortable and of great atmosphere. 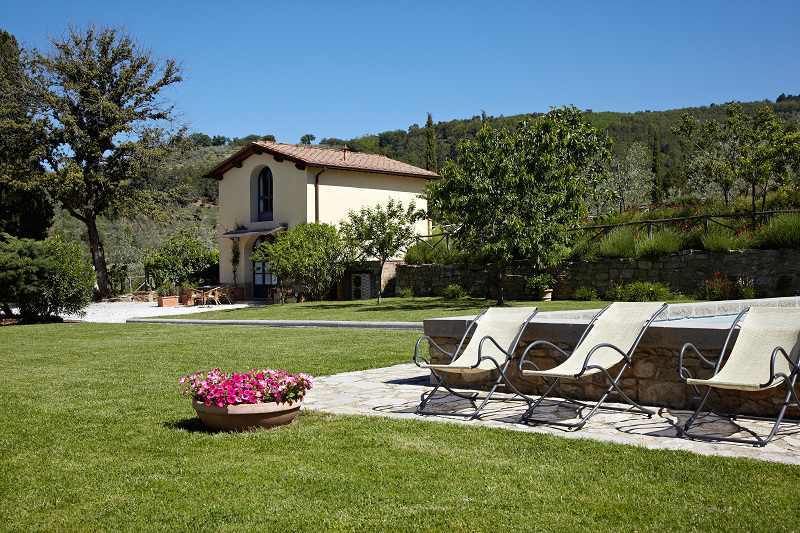 The beauty of the garden all around the villa, the panoramic swimming pool, the genuine Tuscan hospitality and the wide variety of possible day trips and gourmet itineraries will make your stay at Relais Villa Belpoggio an unforgettable experience. 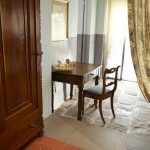 Internet: WiFi in common areas, the reception in the room can be poor due to the thick stone walls. 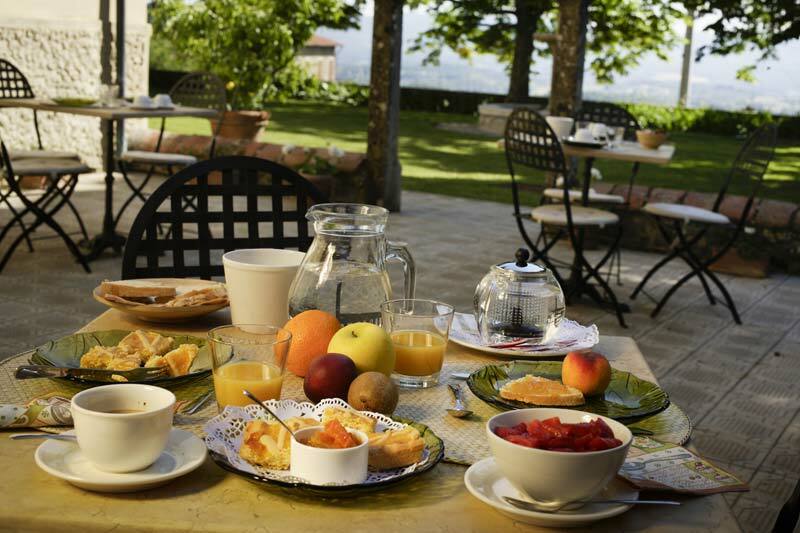 Food: Breakfast, light lunch served everyday and dinner twice a week. 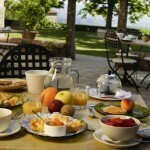 At 5 pm all days the hotel offers tea and biscuits free of charge. 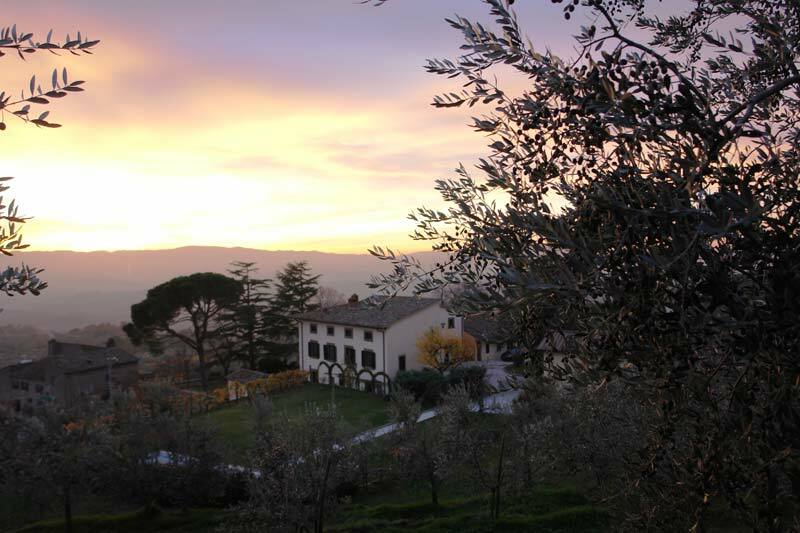 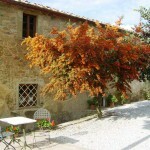 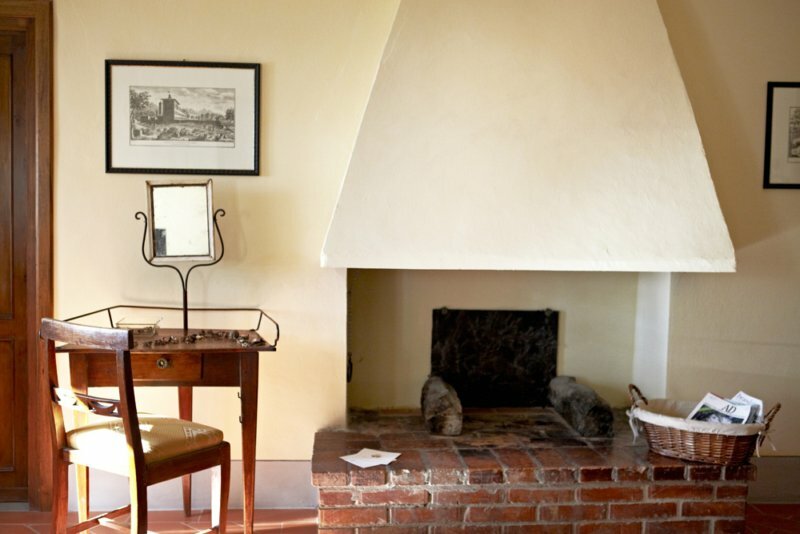 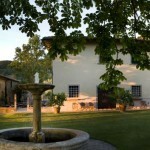 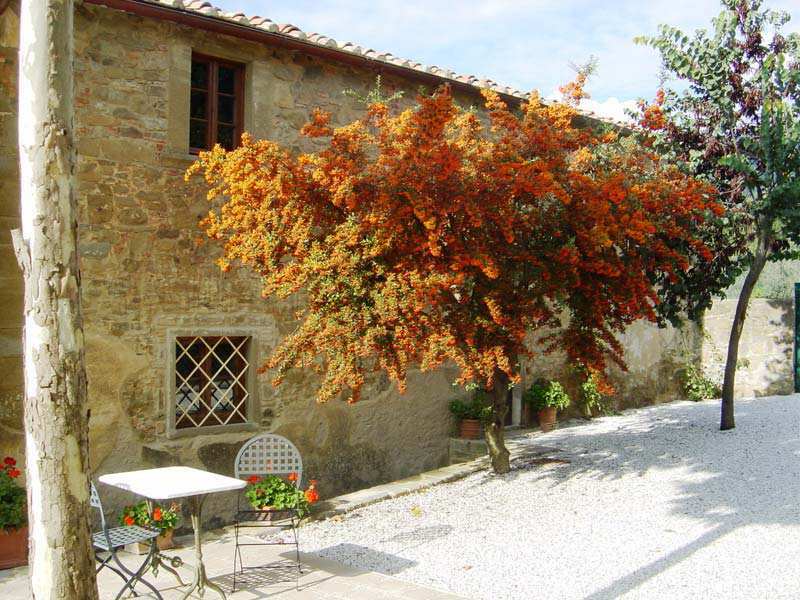 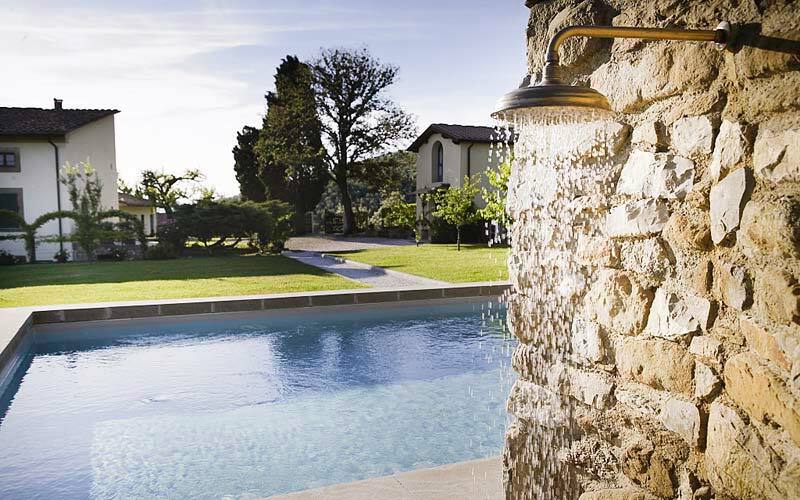 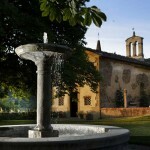 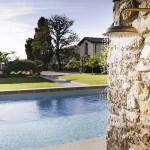 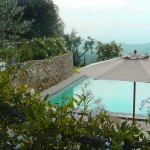 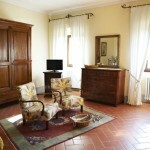 This charming rural hotel is located south east of Florence in the outskirts of the Chianti region. 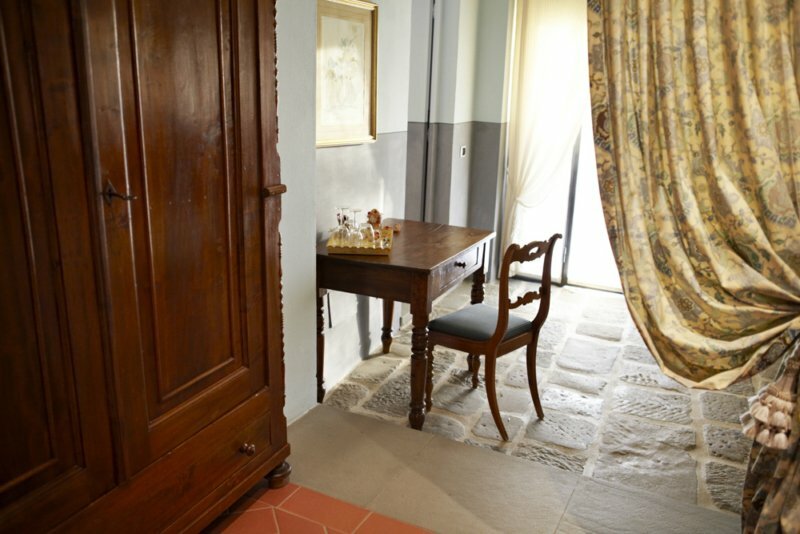 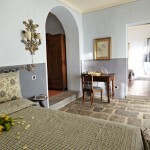 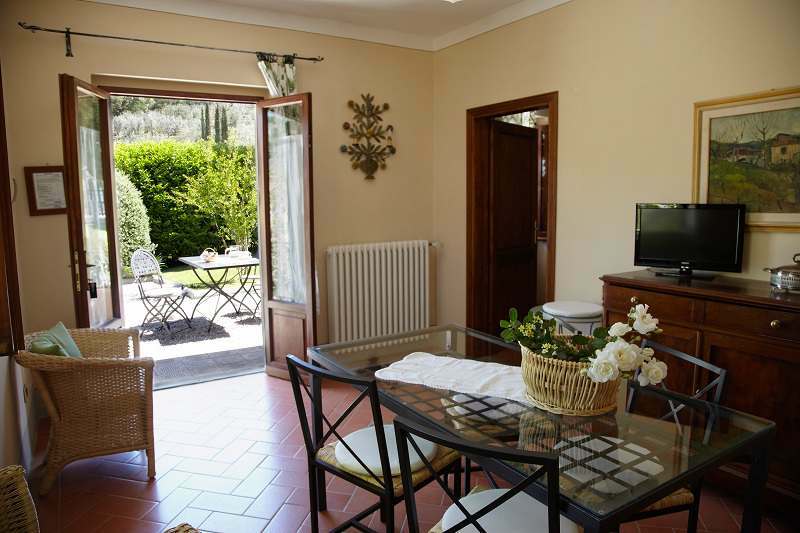 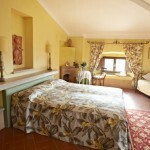 Comfortable double room at the second floor of the Villa, with a view on the olive groves. 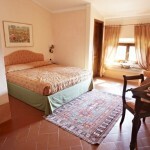 Double room located at the second floor of the Villa. 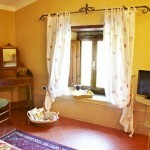 Tastefully furnished, it has a lovely view of the front garden. 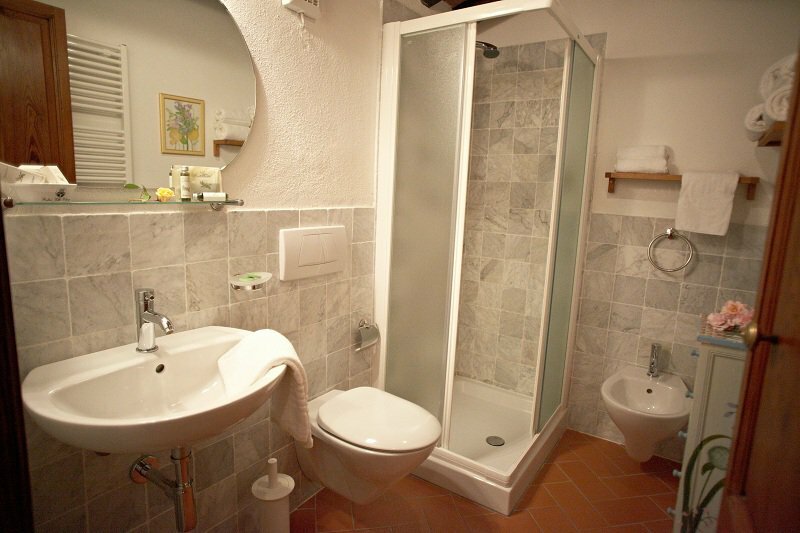 En-suite nice and bright bath-room with a comfortable shower. 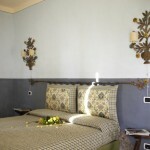 A light blue bed-room with a nice view on the olive groves. 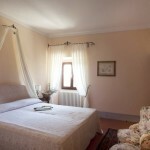 It can be prepared either with a matrimonial bed or with twin beds. 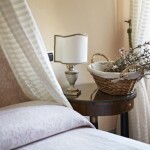 A charming double room with a warm” light pink” atmosphere. 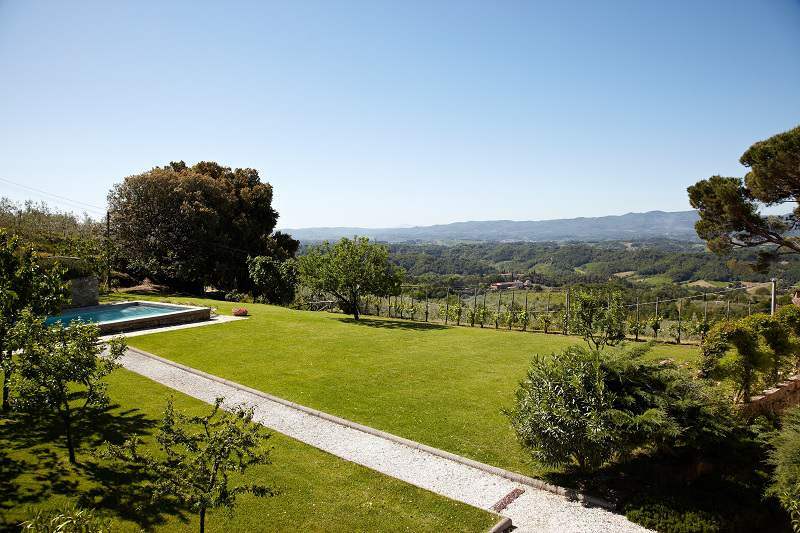 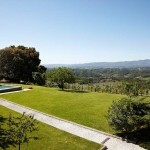 Nice view on the panoramic garden and the olive groves. 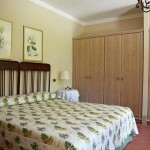 The double bed is niched between two comfortable wardrobe closets. 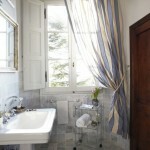 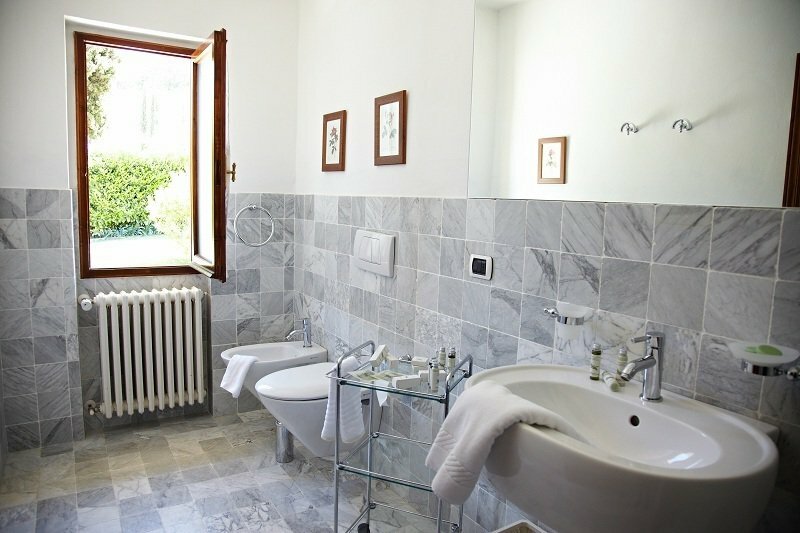 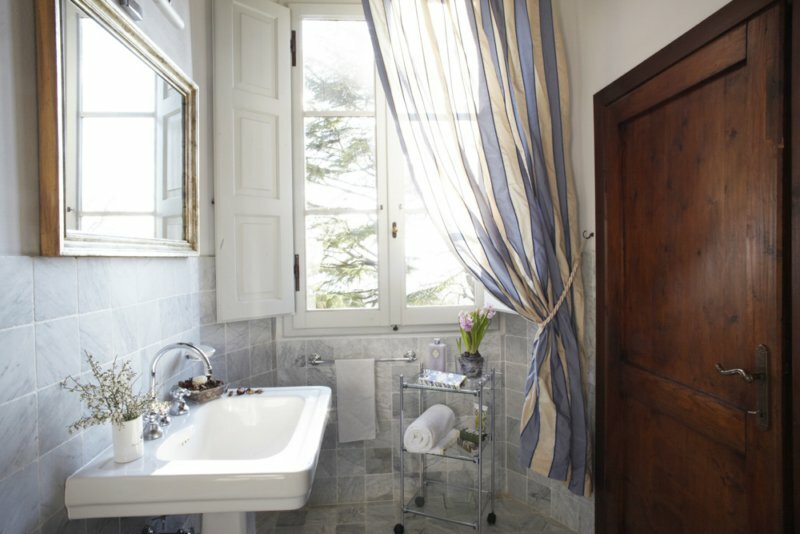 The lovely Carrara marble bathroom has an antique basin and two pretty little windows; comfortable bath-tub and shower. 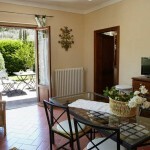 It is situated on the ground floor with access from the front garden. 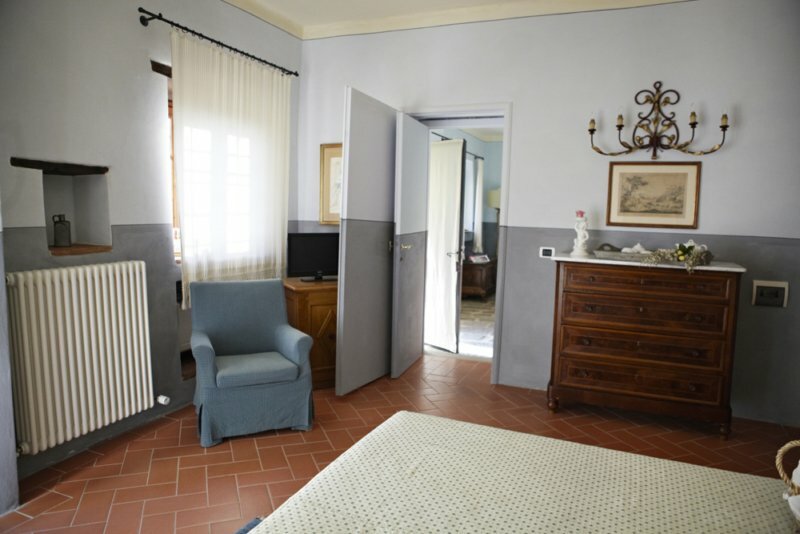 It is a very wide double bedroom, standing out for its relaxing gray – blue tones. 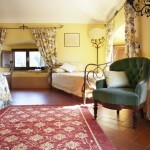 It can be offered both with a double bed or with twin beds. 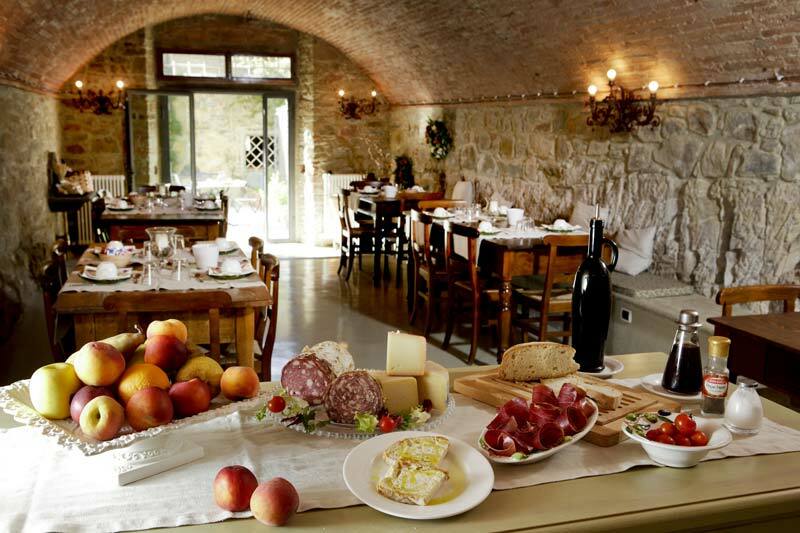 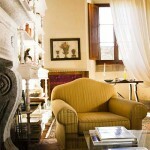 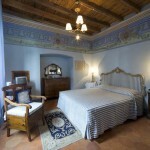 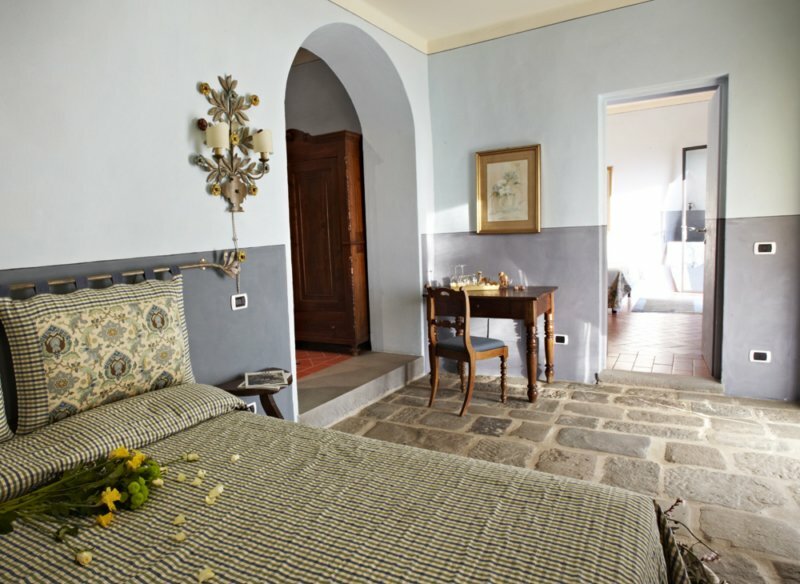 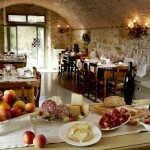 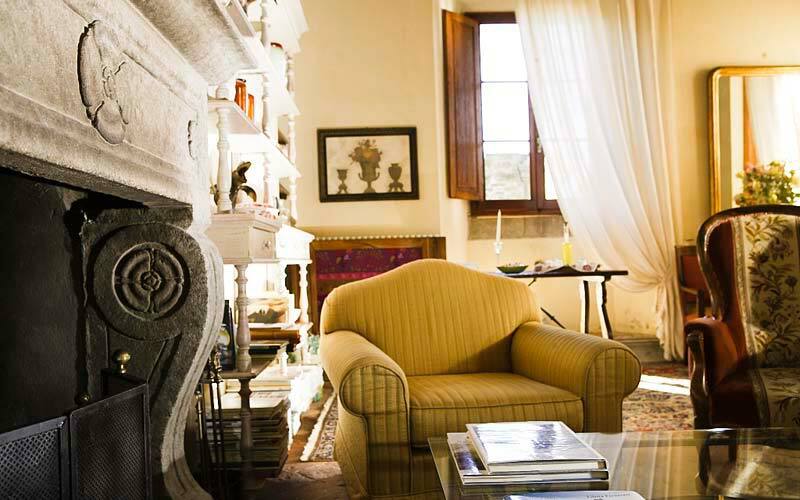 Camera dell’Arco has a stone floor dating back to the 19th century and is entirely furnished with antiques. 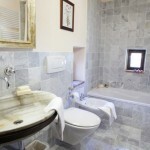 En-suite very comfortable bathroom with shower and bath tub. 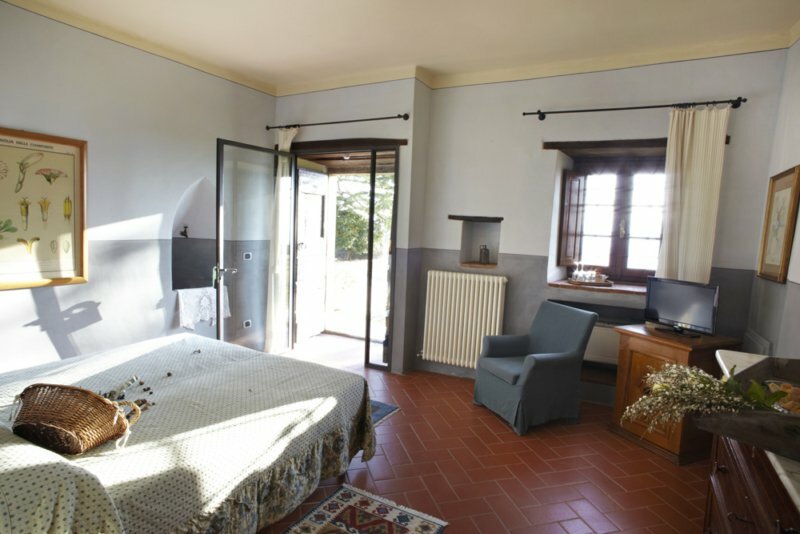 Camera dell’Arco and Camera della Fonticina could be reserved as connecting rooms becoming a very comfortable family suite. 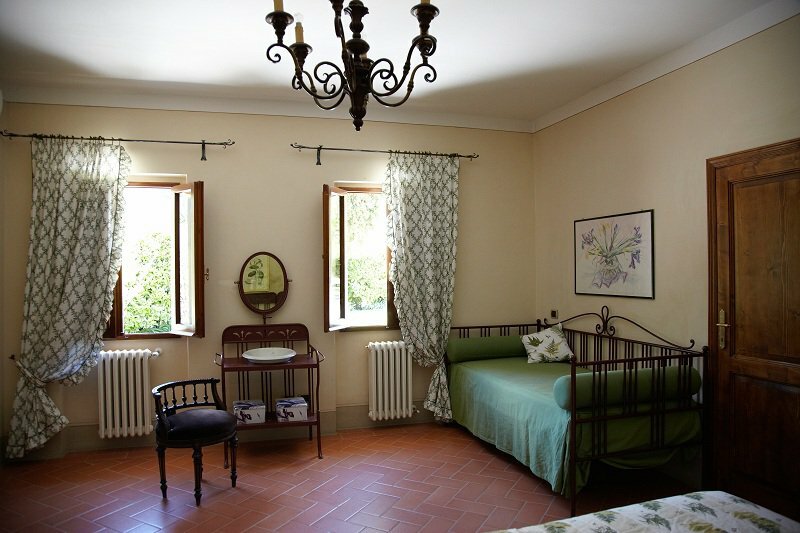 It is a wide double bedroom with access from the garden: its name comes from a 19th century fountain, that is still niched in the room. 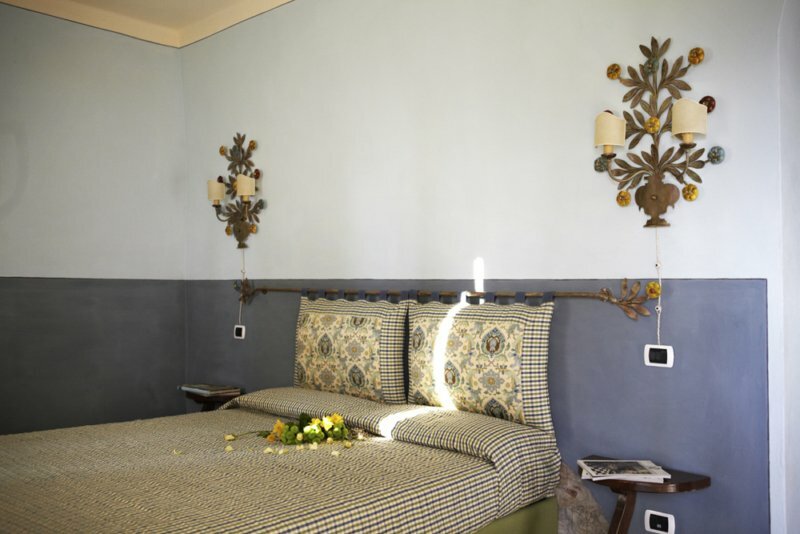 The tastefully furnished bedroom has a big double bed with an iron wrought headboard and a large applique, both of local handicrafts. 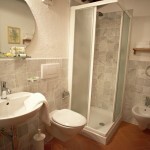 The walls in the bathroom are the original ones, made of stone and brick; the bath-room has a very nice large shower. 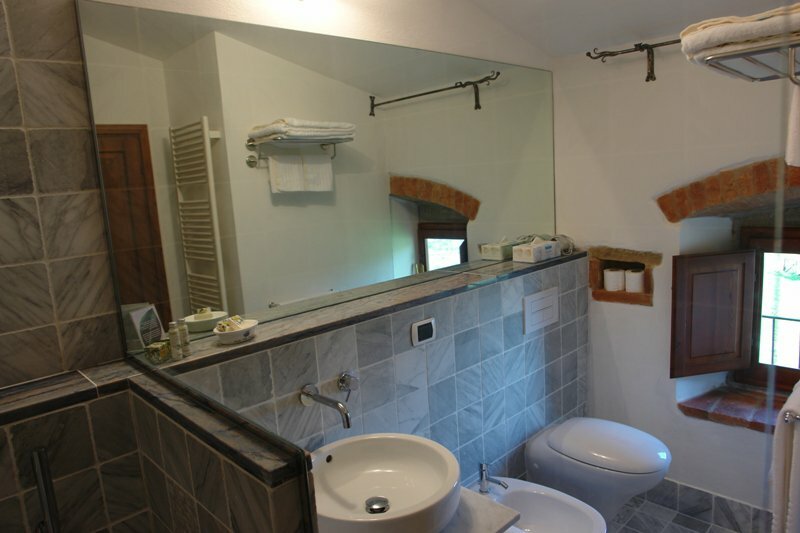 Camera della Fonticina and Camera dell’Arco could be connecting rooms; booked together they became a very comfortable family accommodation. 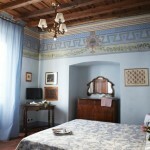 Cozy double room where a light blue is the predominant color. 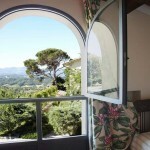 Located on the main floor of the Villa, it has a lovely view on the front garden. 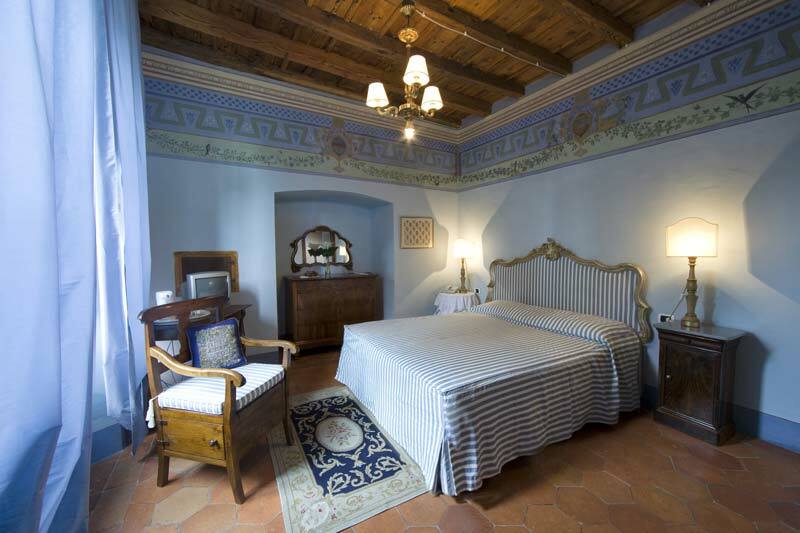 The original fresco decorations, the very old wooden ceiling and the terracotta floor have been patiently and carefully restored. 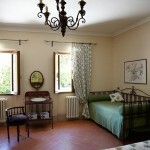 This bedroom is completely furnished with antiques and has an “good-old-times” atmosphere. 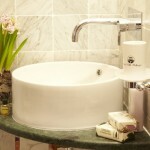 Very elegant Carrara white marble bath-room with large shower. 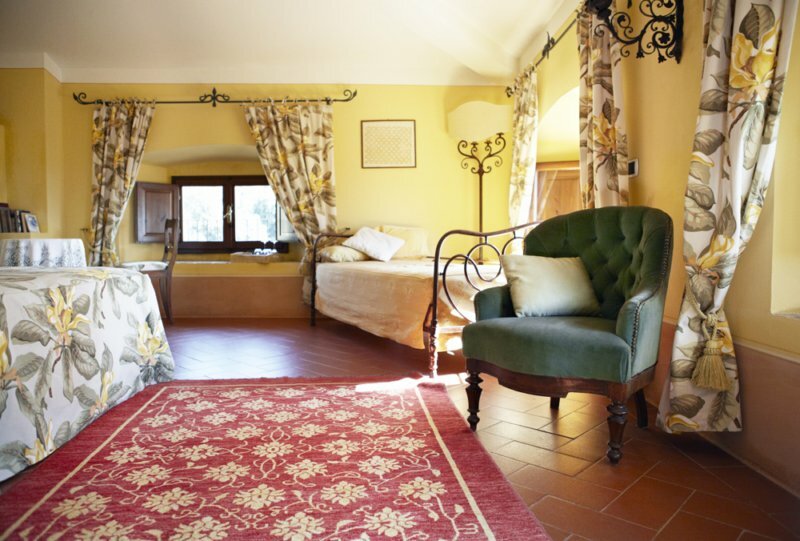 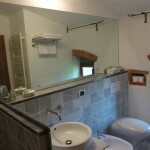 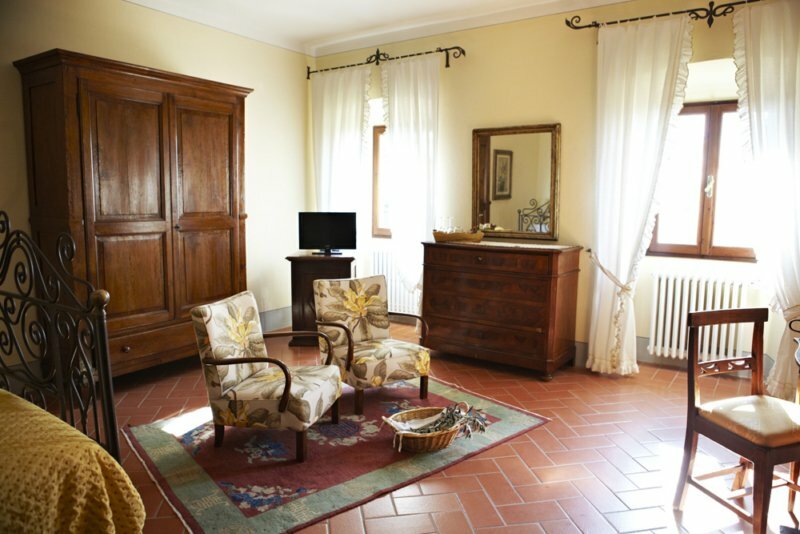 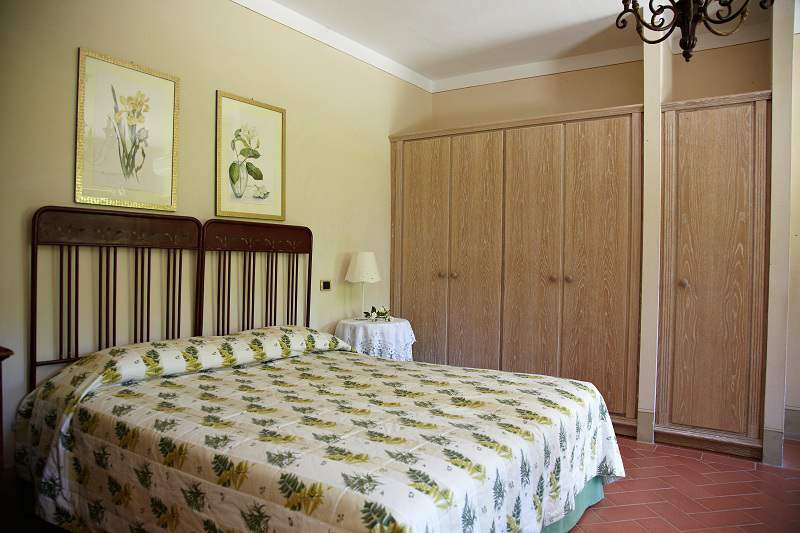 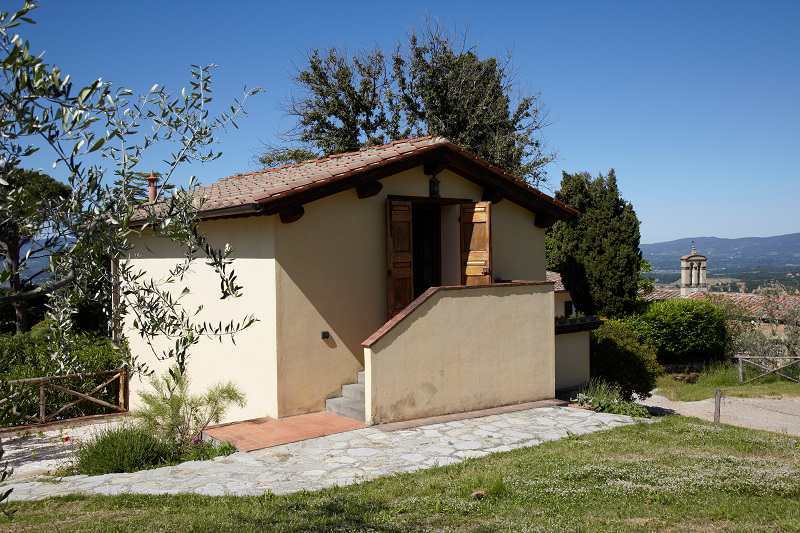 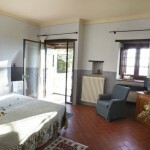 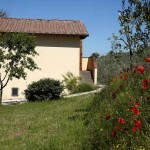 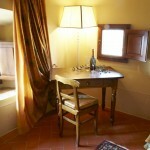 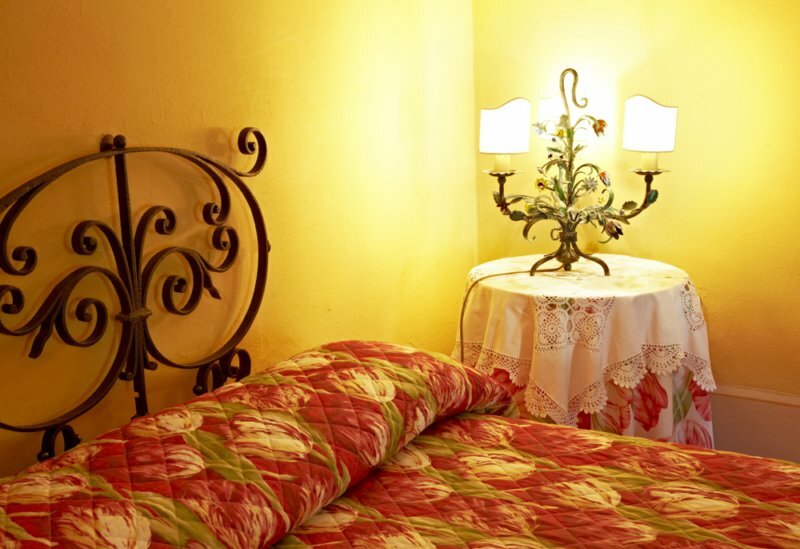 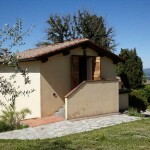 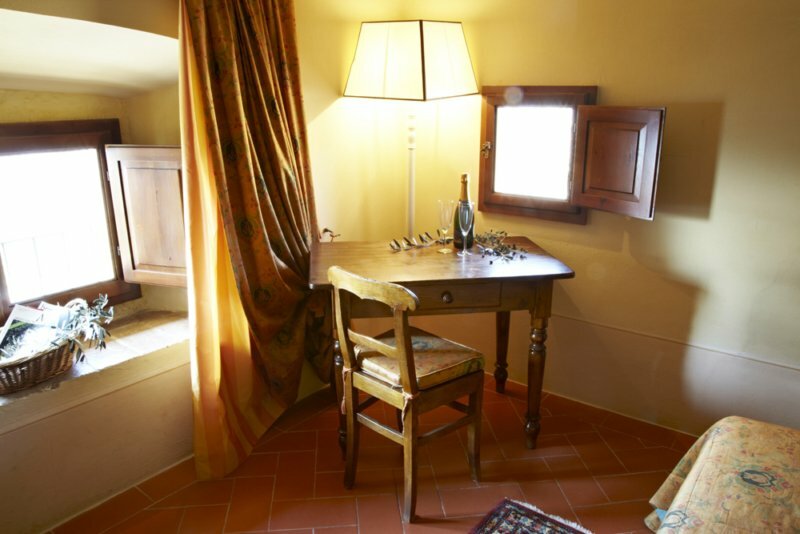 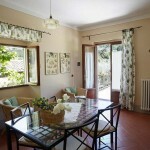 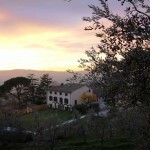 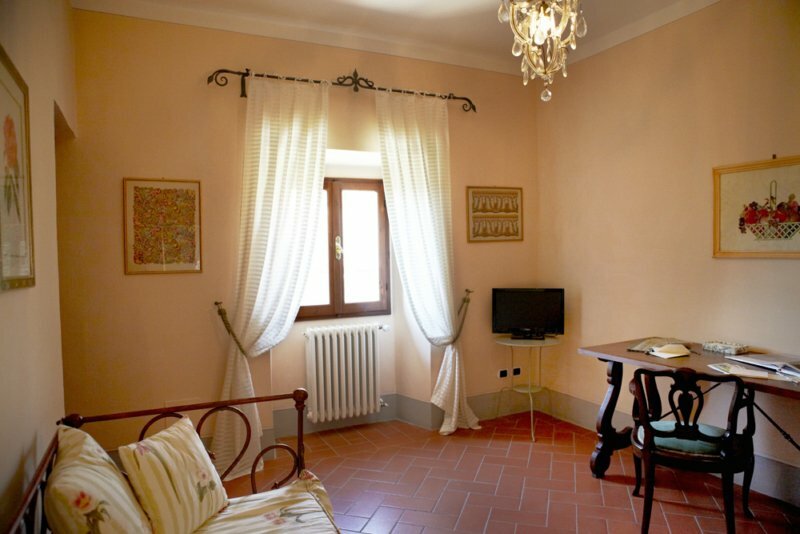 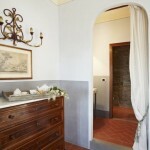 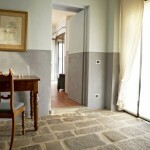 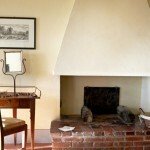 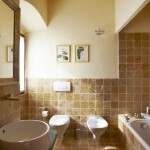 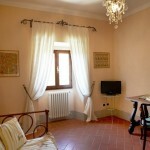 Very large double room with three windows and a wonderful panoramic view of the Tuscan landscape. 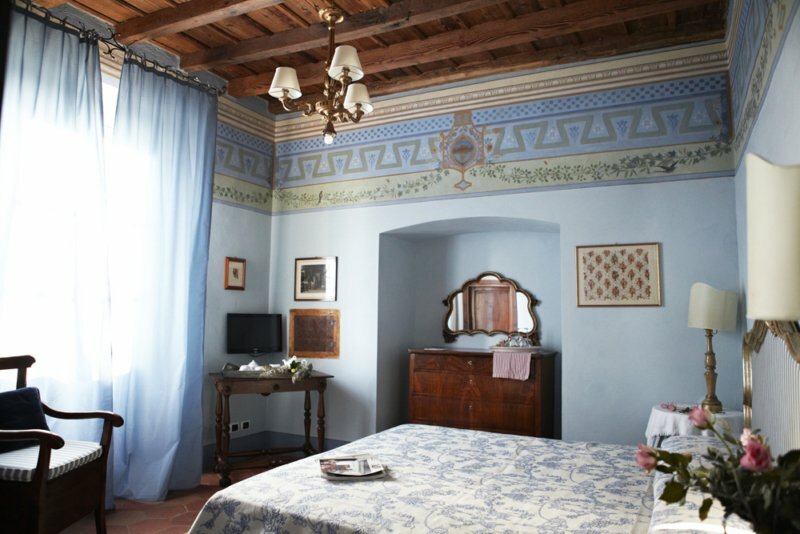 The name of this room refers to a pretty terracotta 19th century fireplace and to a terracotta angel both giving a romantic touch to this elegant accommodation. 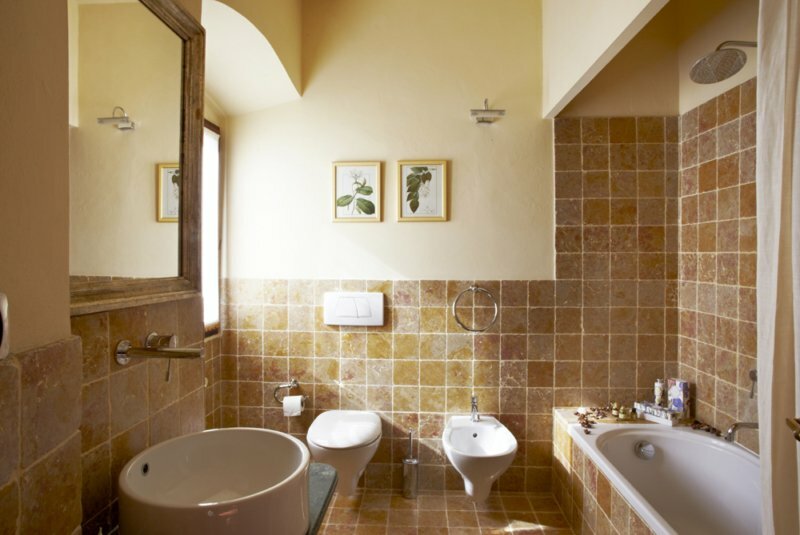 Terracotta has a very comfortable bath-room with bath-tub and shower. 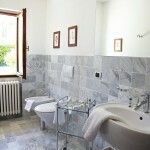 Of course the spacious Carrara marble bath-room has a great view, too. 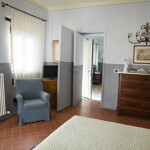 A comfortable junior suite with a living room and a lovely double bedroom with en-suite Carrara marble bath-room with shower. 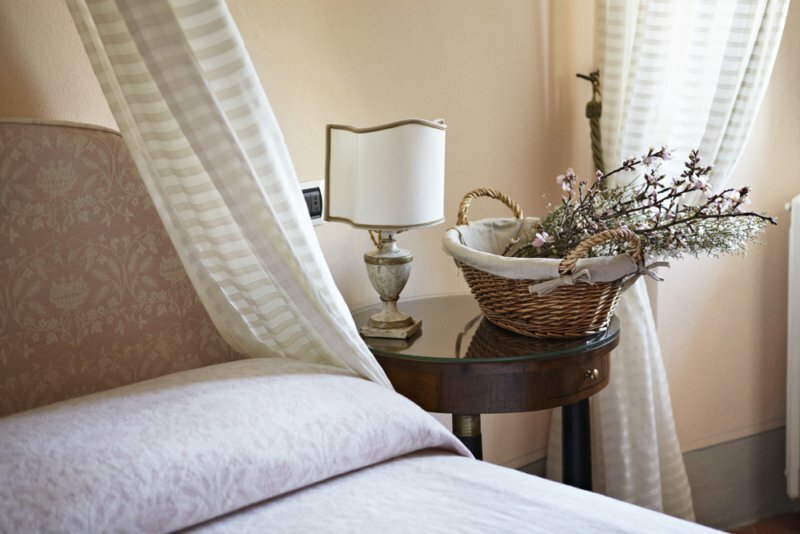 A light pink, typical of hand woven linen, is the dominant furnishing color. 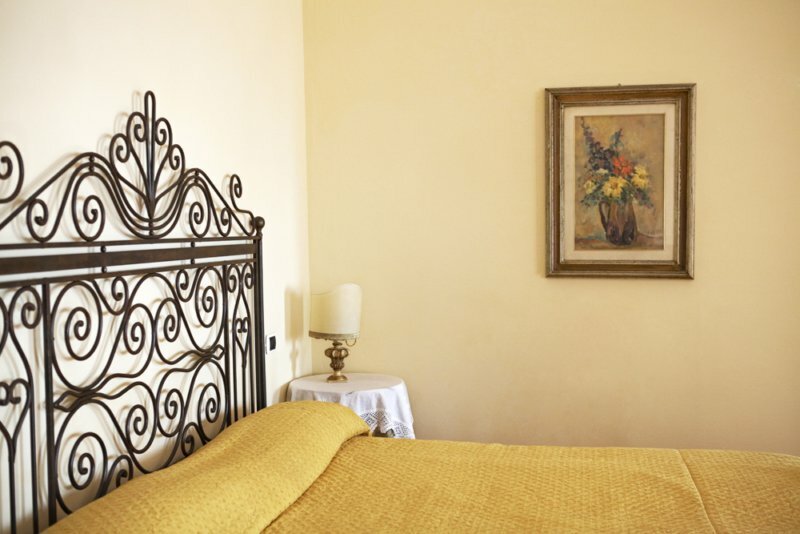 In the living room, a nice antique iron carved sofa can be prepared as an extra single bed. 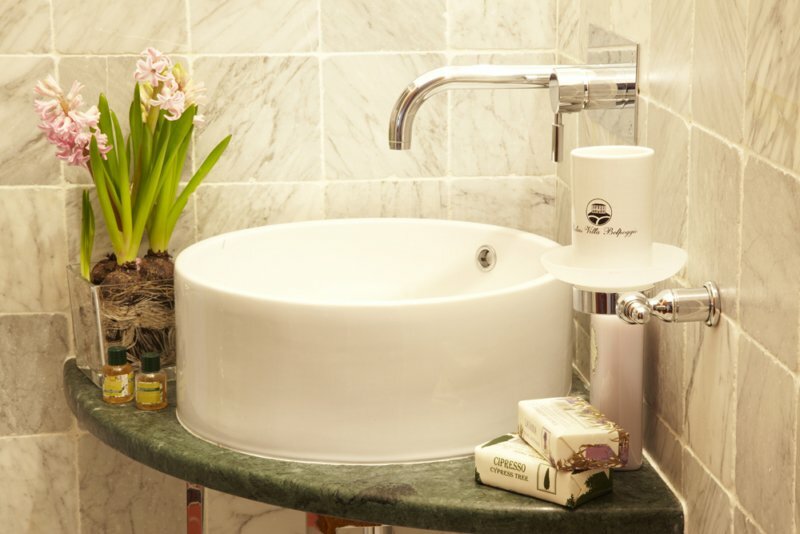 For self-catering weekly rentals one complimentary welcome breakfast and one cleaning with change of linen during the week are included in price. 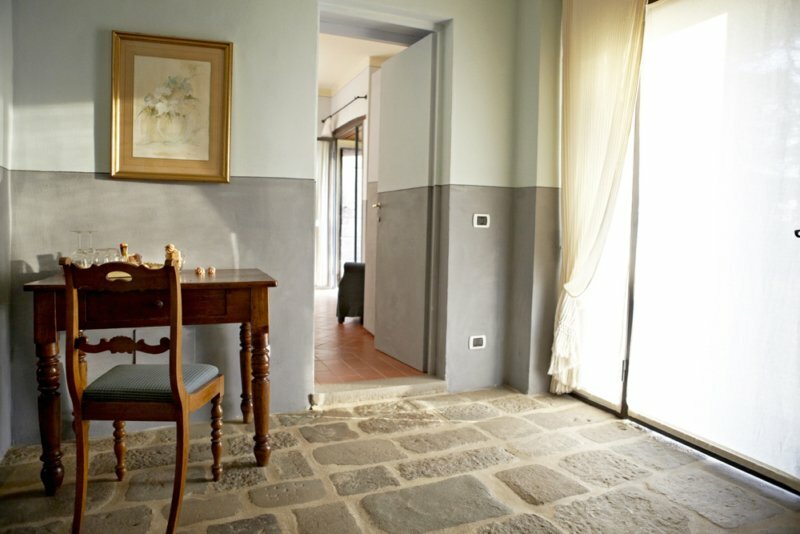 A two storey apartment located in the old barn (carefully restored in 2005), which still has its original wooden ceiling. 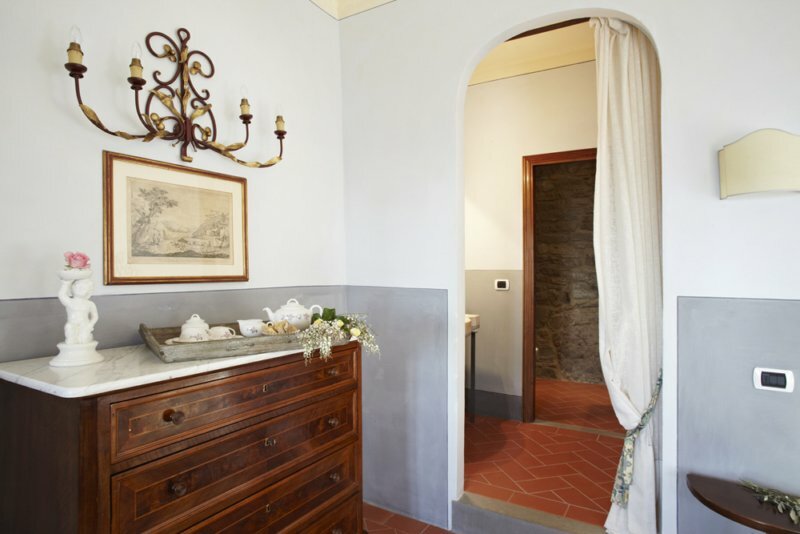 On the ground floor, the Fienile is made up of a living-room with a fully equipped cooking area and a Carrara marble bathroom with shower. 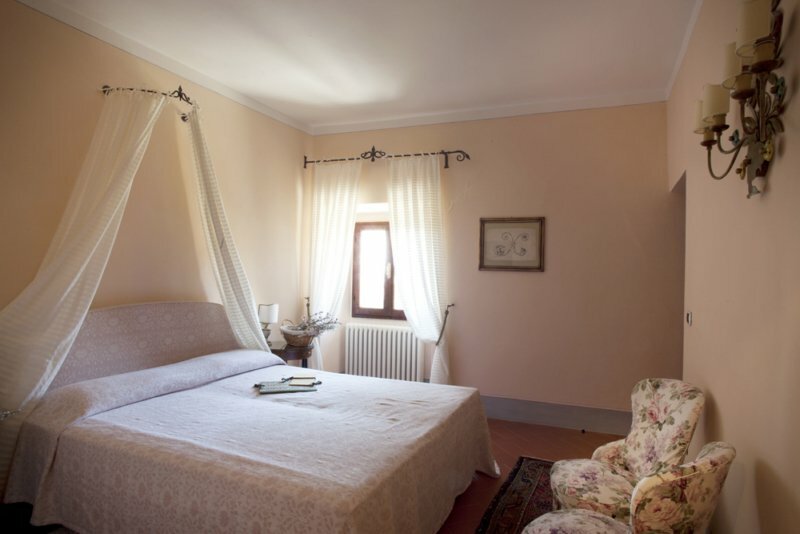 There you have a charming double bedroom and a second bathroom with shower; the bedroom, with a panoramic view on the garden, has a matrimonial bed and a single sofa bed. 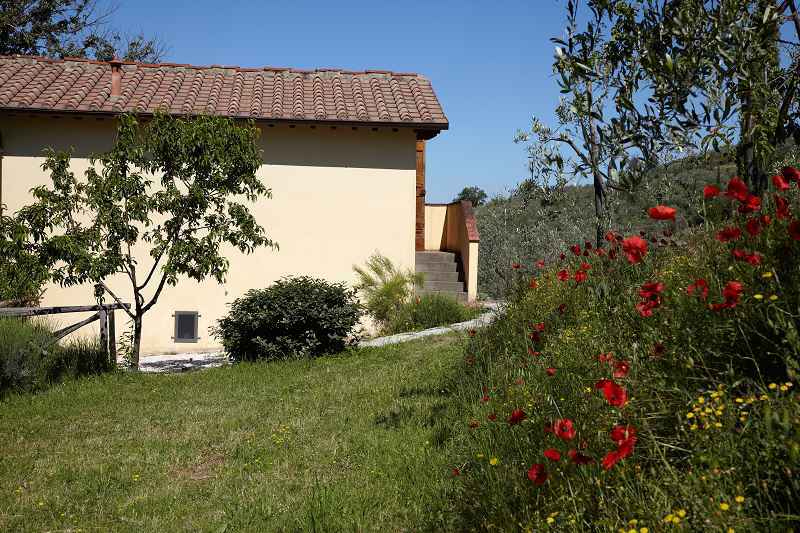 From the first floor you can gain access to the garden by means of an outer stair, without having to go downstairs. 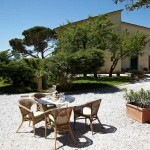 By the main entrance at the ground floor there is a private terrace with table and chairs, in the shade of an old oak tree. 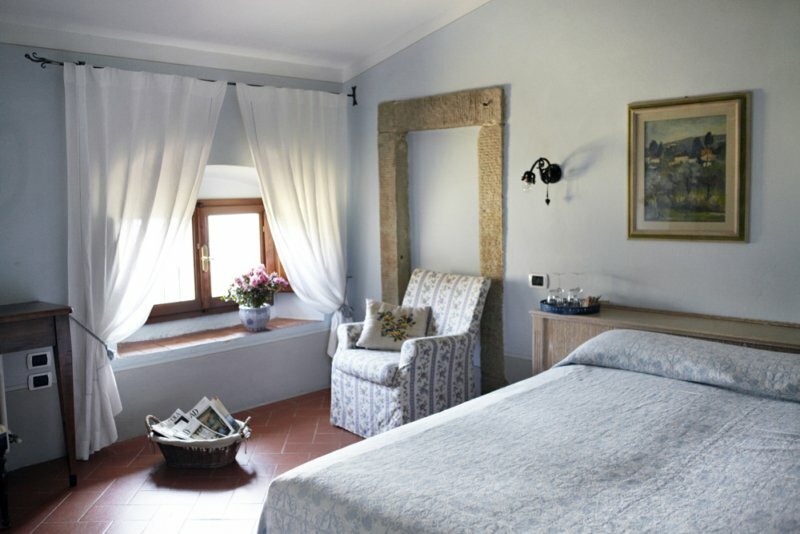 Credit card details and a 15% deposit (refunded if cancelled more than 2 days before arrival) taken from your card at the time of your booking. 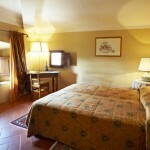 Remaining amount to be paid to the hotel during your stay.